The idea of a plastic Coke bottle made entirely from plant-based materials might seem to undermine everything you know about plastic, but Coca-Cola says it’s not only possible, the technology is here: The company debuted new petroleum-free bottles yesterday at the World Expo in Milan. 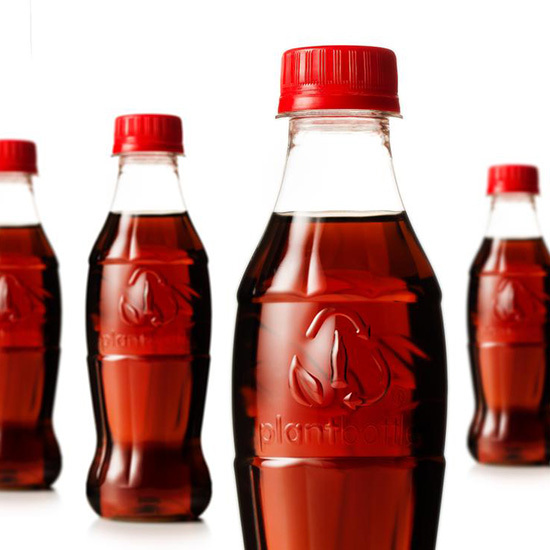 Back in 2009, Coca-Cola debuted its first PlantBottle—plastic packaging made from 30 percent plant materials. This new take on the PlantBottle eliminates the need for petroleum-based plastic all together, bringing the percentage of plant-based plastic (also known as PET plastic) up to 100 percent. In an interesting twist, the new packaging is made entirely from sugarcane, meaning the sugary drink can now have a bottle with an equally sugary background. Though the soft drink brand has already rolled out more than 35 billion of their current PlantBottles—constituting about 7 percent of their bottles worldwide—this new 100 percent plant-based bottle is still years away from being the norm. The company hopes to replace petroleum-based plastic bottles with entirely plant-based ones by 2020. Of course, all this assumes that the world doesn’t decide to ban soda altogether by the year 2020. With the continuing debate over the negative ramifications of sugary drinks and artificial sweeteners, who knows what the future may hold.